Have you decided that you’re ready to put your business on the market? 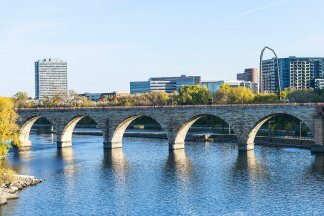 As a division of Sunbelt, Sunbelt Business Advisors is dedicated to providing comprehensive brokerage services to Rochester, MN clients looking to sell business opportunities. You’ve worked to build your company from the ground up; let us assist you with obtaining the highest return possible from its sale. Before you proceed with selling your business, it’s crucial to determine exactly how much your company is worth. Not only does knowing the value of your company make it easier to set a fair rate, but it’s also a good way to tell whether or not now is the best time to sell your business. Sunbelt Business Advisors offers complementary valuations for sellers, as well as helpful guidance regarding the current state of the market and how it could impact you. When it comes to mergers and acquisitions, you need the best, most experienced professionals on your side. If you’re considering selling or merging your business for sale, the business selling experts at Sunbelt Business Advisors in Rochester, MN are ready and willing to educate and guide you through the process. From creating a marketing program, to conducting due diligence, to handling negotiations, we’re behind you from start to finish. To successfully sell a business and enjoy a substantial return, it’s crucial to find promising buyers. At Sunbelt Business Advisors, we’re committed to safeguarding the best interests of our clients. Our business brokers routinely screen potential buyers for the benefit of our sellers. Accordingly, we provide supportive backing to sellers during negotiations and closings – advising them every step of the way.